Otolaryngology - a branch of medicine that studies the anatomy and physiology of the ear, throat (larynx and pharynx), nose and paranasal sinuses, as well as diseases of these organs, their prevention and methods of conservative and surgical treatment. Rhinitis; sore throat; sinusitis; Diphtheria; paratonsillitis; laryngitis; noise in ears; cerumen impaction; angina; otites; pharyngitis; tonsillitises; adenoiditis. pain in the sinuses of a nose. Diseases of the vestibular apparatus are characterized and are manifested by a frequent dizziness and a significant reduction of coordination. For the diagnosis of ENT diseases Otolaryngology apply basic general clinical, instrumental and laboratory methods. Computed tomography - X-ray method for obtaining cross-sectional images of tissues and organs, with further computer processing. Magnetic resonance imaging - the use of electromagnetic waves in a powerful magnet field. This is a very accurate method of diagnosis. Ultrasound examination - a widely used method, based on the ability of ultrasonic waves be reflected from different tissues at different speeds. Endoscopic - allow the doctor to see the diseased organ, take a biopsy. To study the different organs using various techniques endoscopy: laryngoscopy - for the study of the larynx, otoscopy - for the study of the outer ear, rhinoscopy - for the inspection of the nasal cavity. Audiometry, the test response of the auditory brain stem, electronystagmography and other methods that border on the neurological diagnostic methods. In the treatment ENT organs are applied conservative and operative methods. All feature of surgical treatment in otolaryngology is to work with a very small and narrow structures and cavities using special tools and magnifying optical instruments. A lot of attention in Otolaryngology is paid to the restoration and acquisition functions ENT organs, ie rehabilitation and habilitation. A greater percentage of patients in need of rehabilitation techniques are patients after surgery on the larynx and with abnormalities in the ear area. Prevention of ENT diseases, primarily are the methods of increasing and firming human immunity. Prevention of angina, sinusitis and bronchitis is an early and timely treatment of acute respiratory viral diseases, influenza. 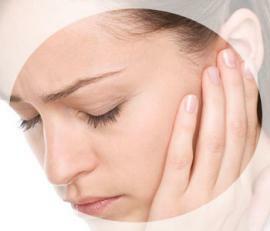 Personal Hygiene - also one of the preventive methods in Otolaryngology. Careful maintenance of the nasal cavity and pharynx protects against infection and acute inflammatory diseases.